The team at Fraemohs Homes are passionate about making warm, healthy timber kit houses for New Zealanders. Gone are the bad old days when Kiwis put up with poorly insulated homes that were cold and damp. Fortunately people are much more aware these days of the important role of insulation in keeping a house warm, dry and healthy for its occupants. A 2007 study carried out by Lincoln University found houses of solid wood construction, such as Fraemohs timber kitset homes, have superior energy performance compared with houses built using the more common timber frame construction. The superior energy performance is almost entirely due to solid wood’s capacity to store and exchange heat, as it has greater thermal mass. According to the study, a solid wood wall greater than 40 mm thick outperforms that of a timber frame and plasterboard wall. In addition, the thicker the wall, the greater the thermal mass, and therefore the greater the energy savings. Fraemohs’ solid timber kitset homes perform particularly well since they have 100mm thick external walls and 60mm thick solid wood internal walls. So what this means for owners of Fraemohs’ solid wood kitset homes is that they do not need to use as much energy to heat their home in winter or to cool it in summer. The Lincoln University study found that the energy savings offered by solid wood could be as great as 24%. 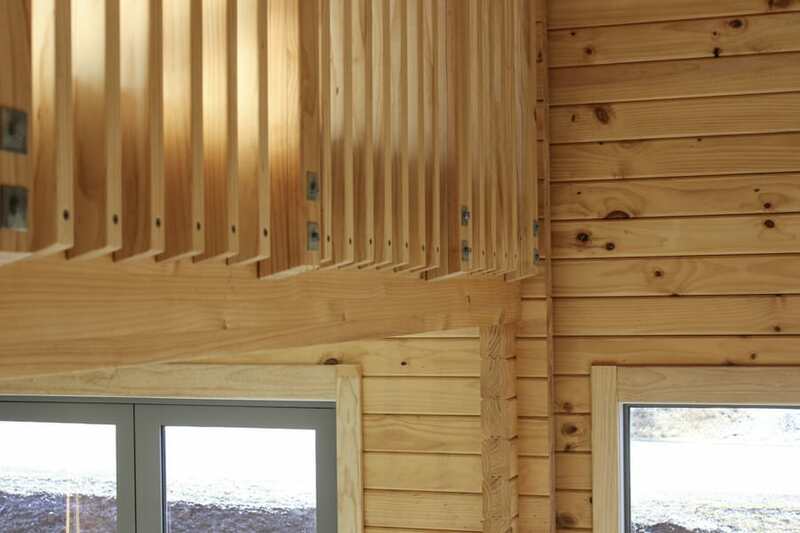 The study also found that solid wood’s energy advantage over timber frame construction applied in a wide range of climates, and could be increased by increasing the amount of sun entering the home through the windows. The team at Fraemohs Homes puts these principles into practice by incorporating large north-facing windows into their designs wherever possible. Fraemohs builds timber kit houses in all parts of the country, including places that are subject to extreme climate variations such as Hanmer Springs and Castle Hill. In places like these, the team recommends additional under-floor and ceiling insulation. Another important advantage of solid wood construction is that it produces more favourable humidity indoors, especially in bedrooms during the nights, which translates into improved comfort and health. The Fraemohs team likes to compare living in a solid timber home with wearing a wool jersey – even if it get damp it will still keep you warm whereas a synthetic jersey won’t “breathe” and will just get cold and clammy.